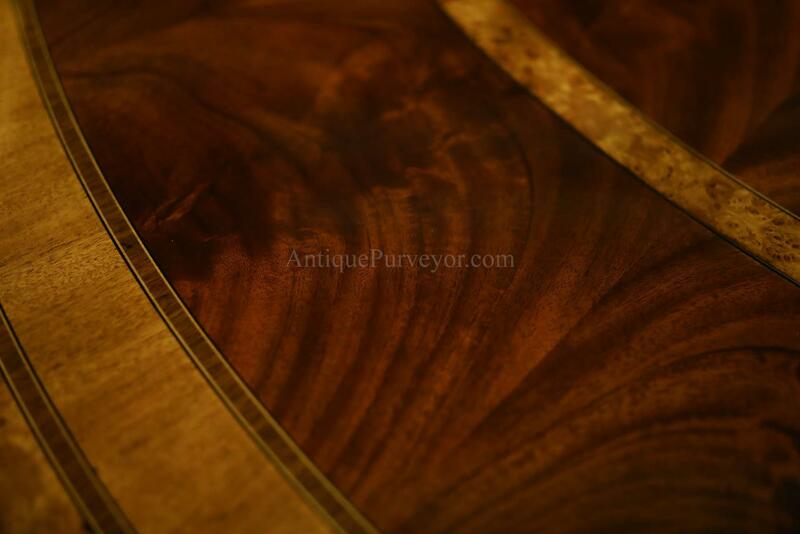 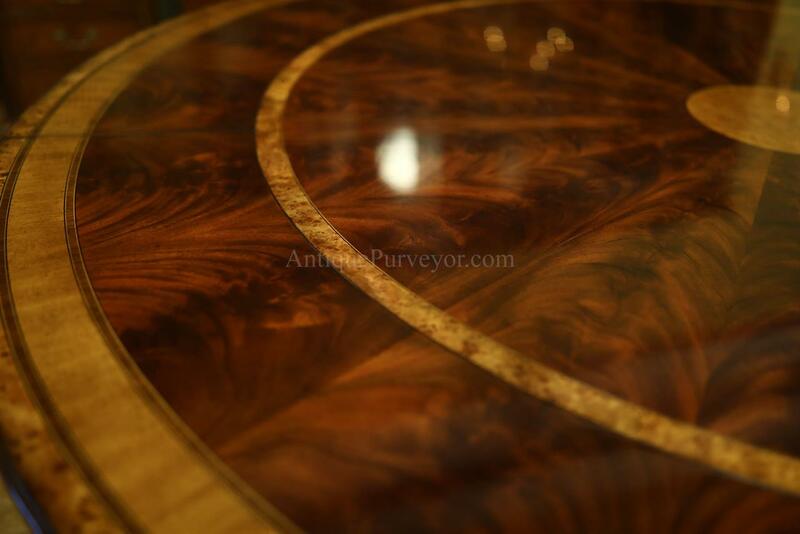 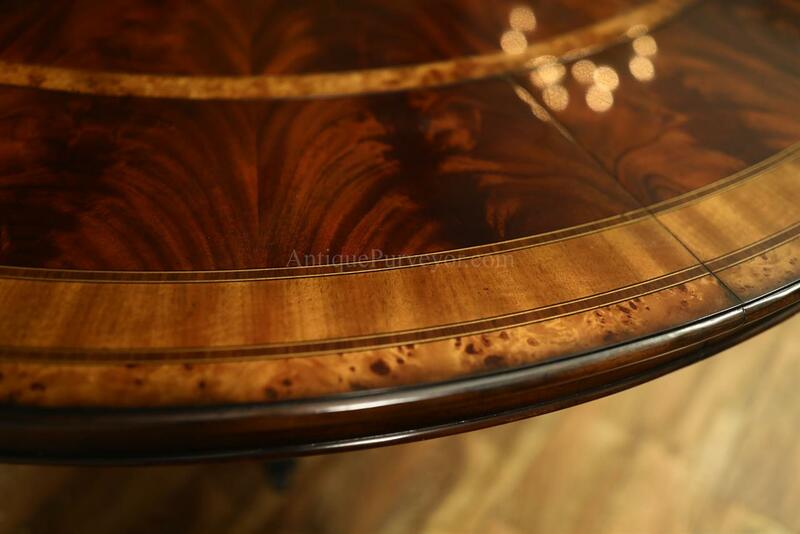 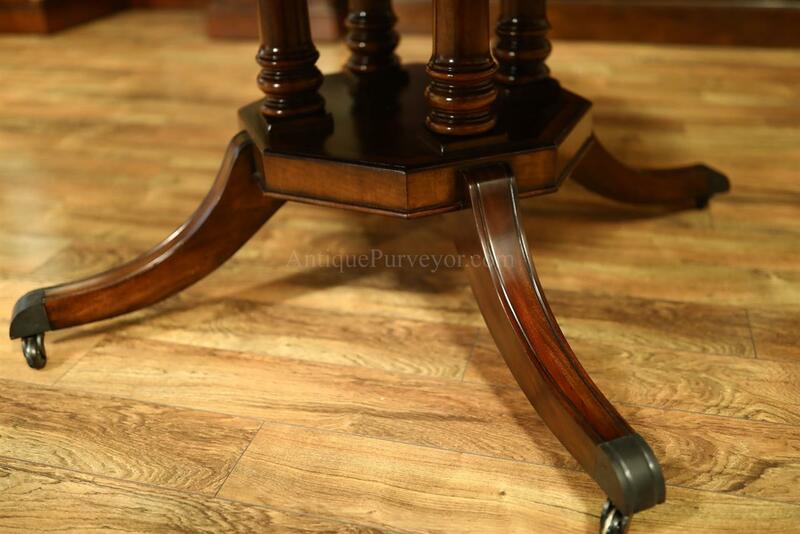 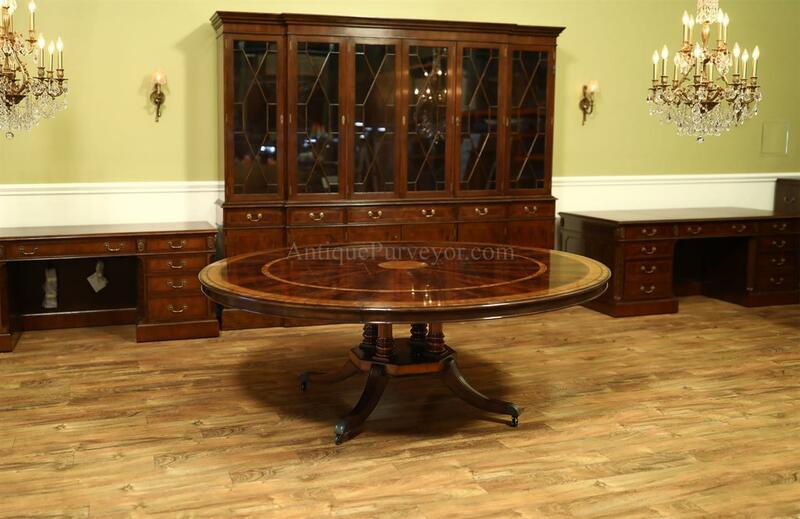 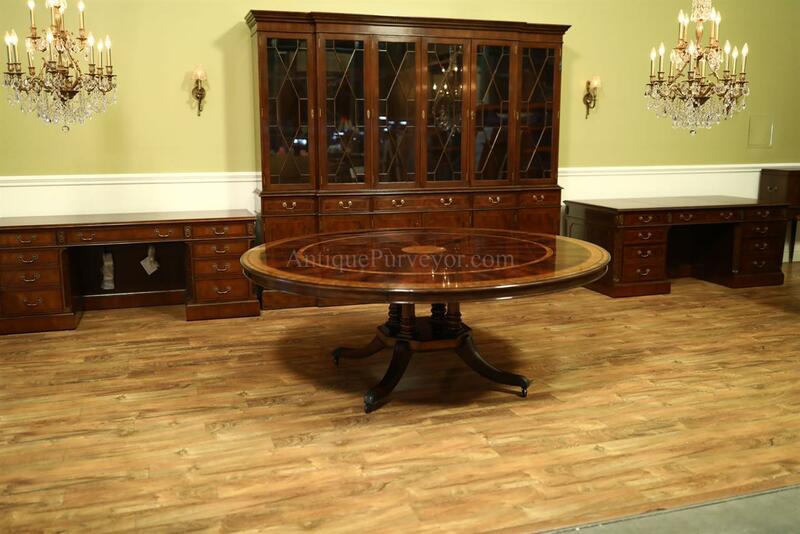 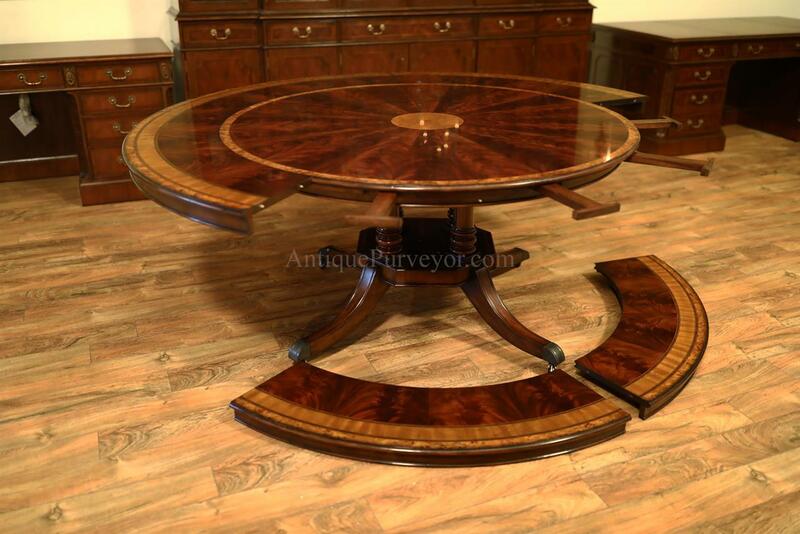 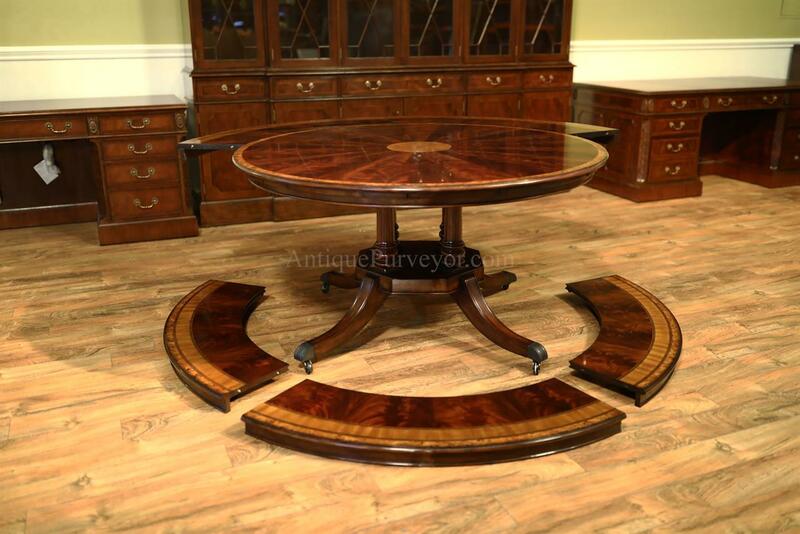 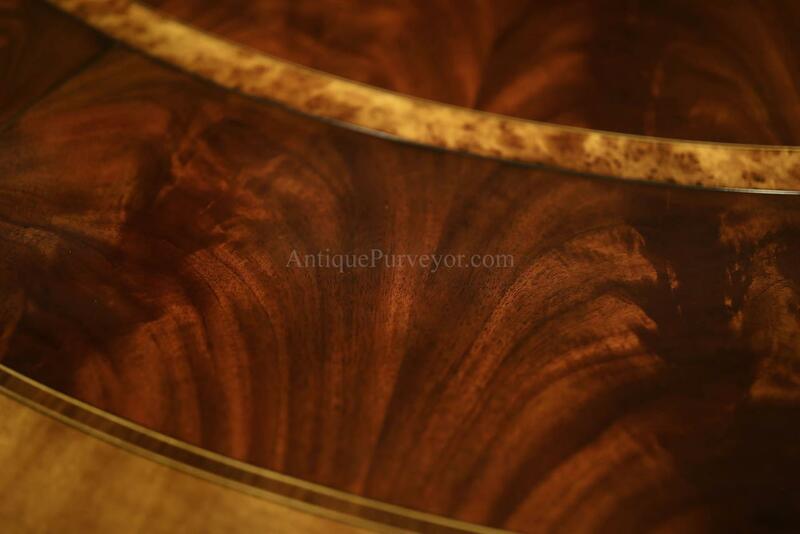 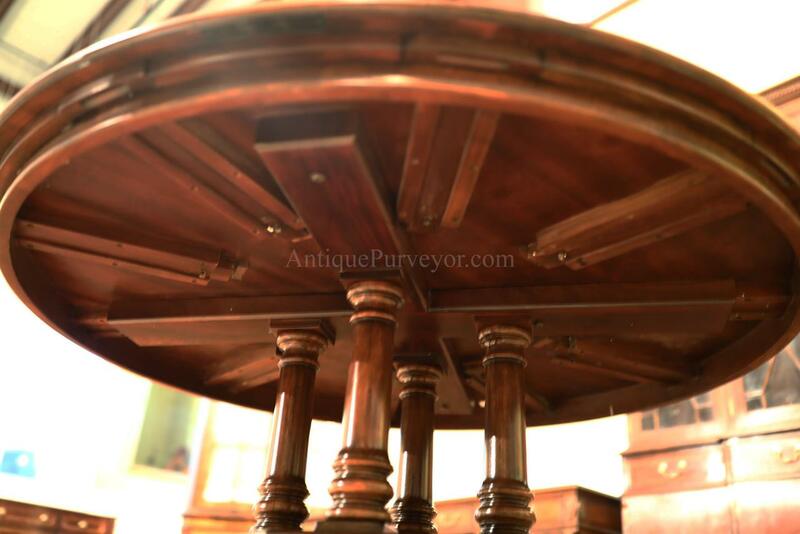 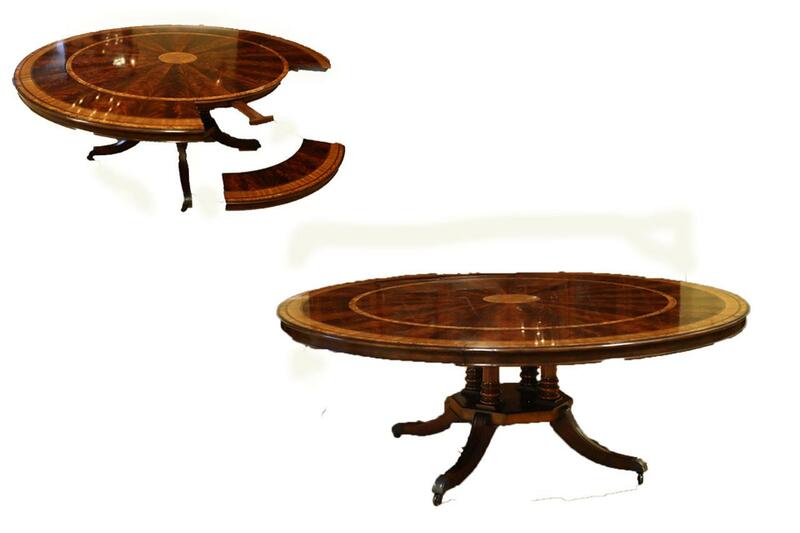 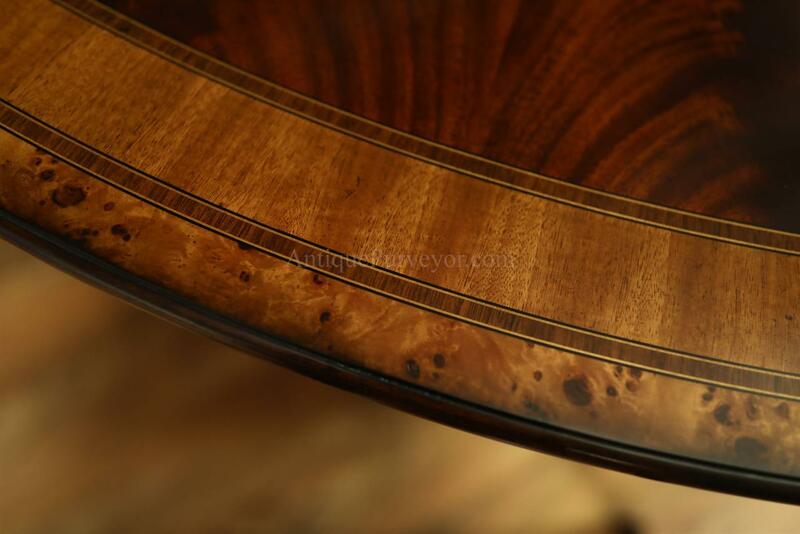 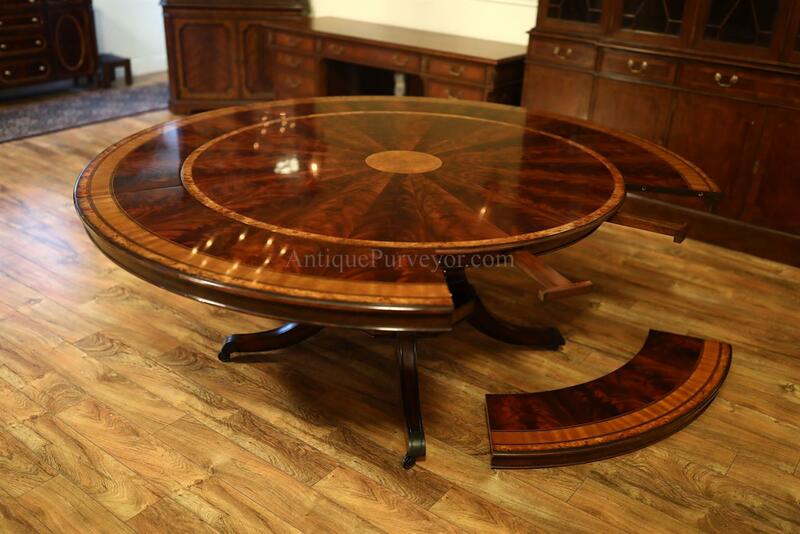 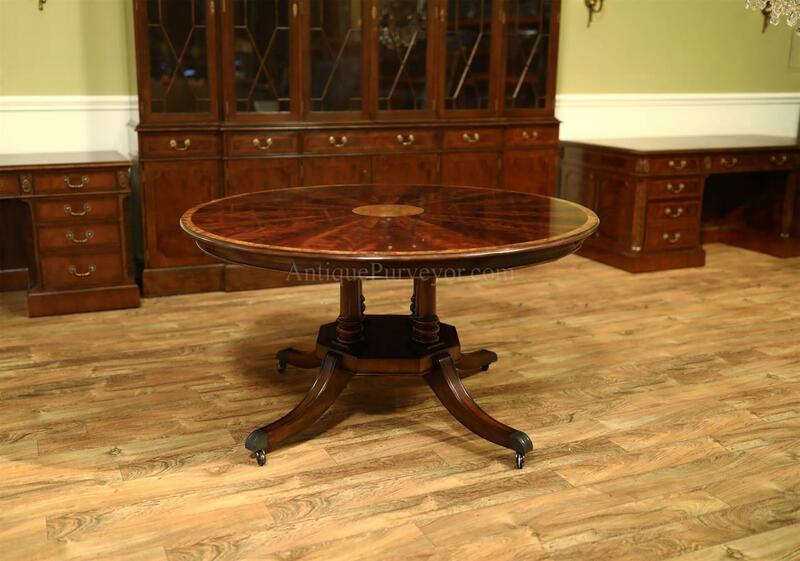 Description: Fine flame mahogany round to round extension table with leaves. 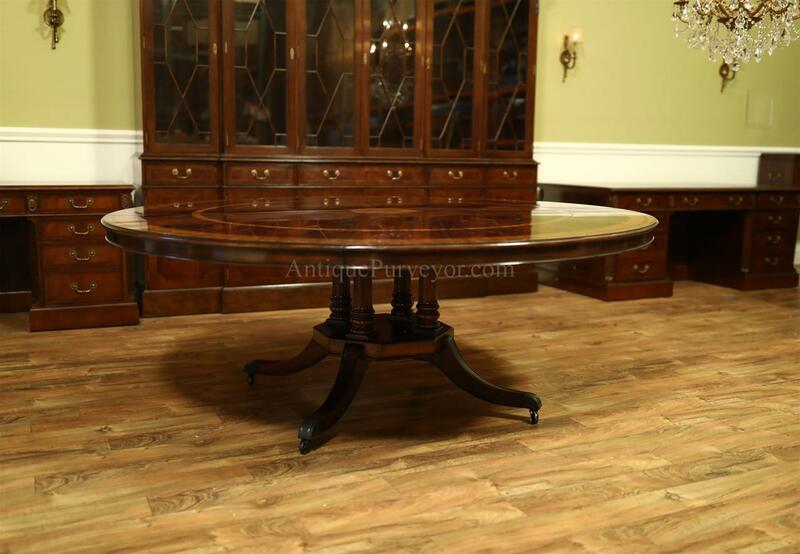 Exceptional quality table fitted with two aprons to give the end user a full bodied appearance in the room whether you have it opened with leaves or not. 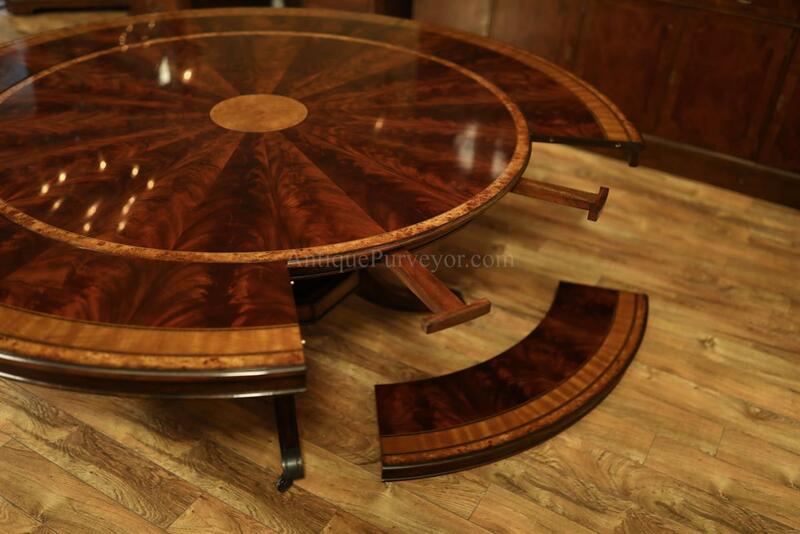 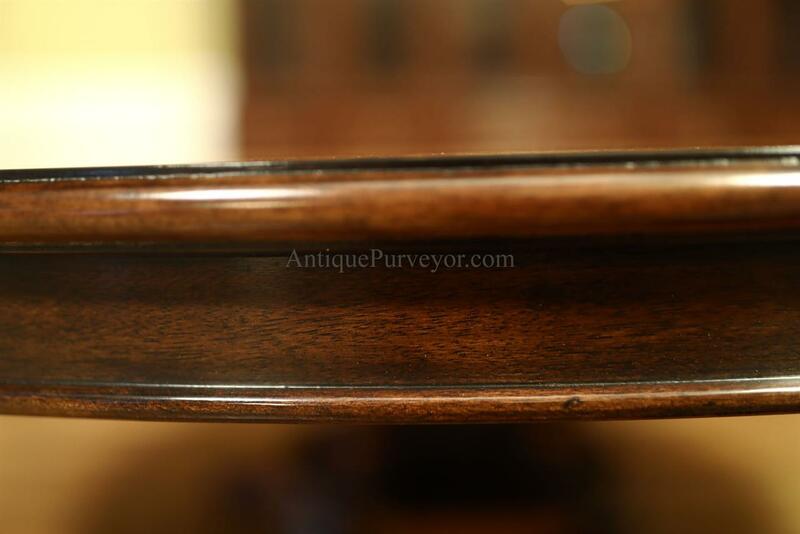 Flame mahogany and satinwood banded table top for the traditional dining room. 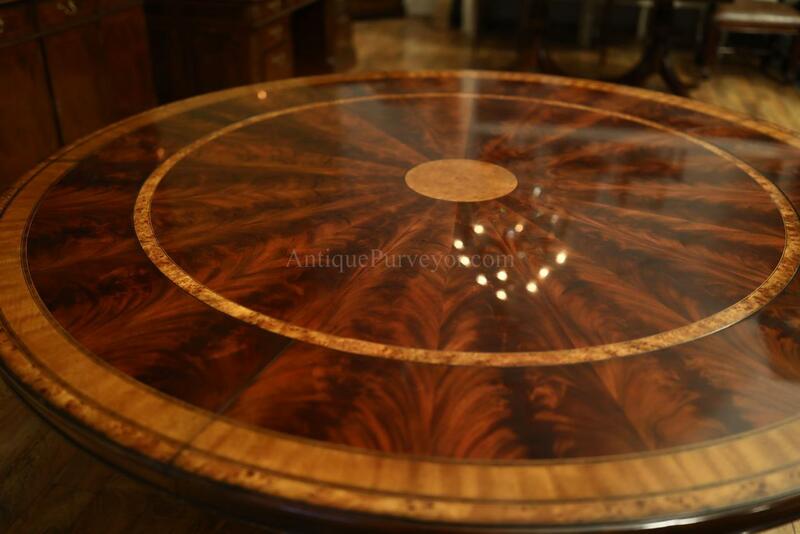 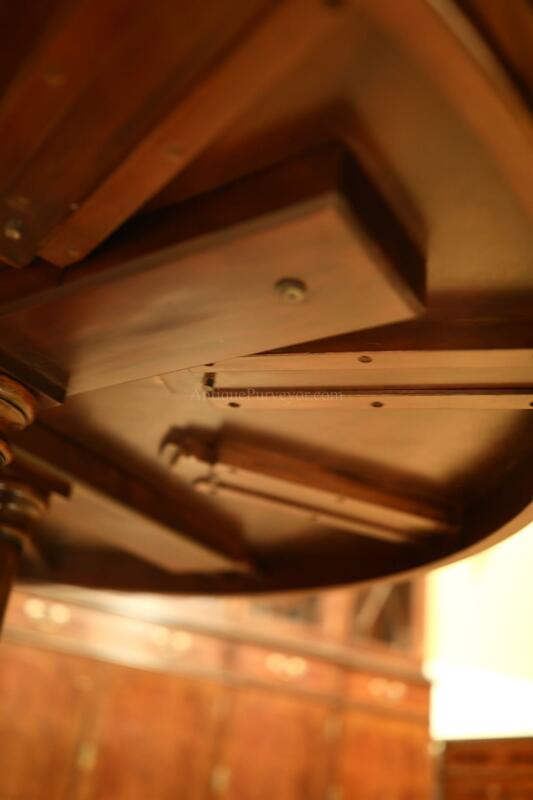 Top of the line, classic and well made table. 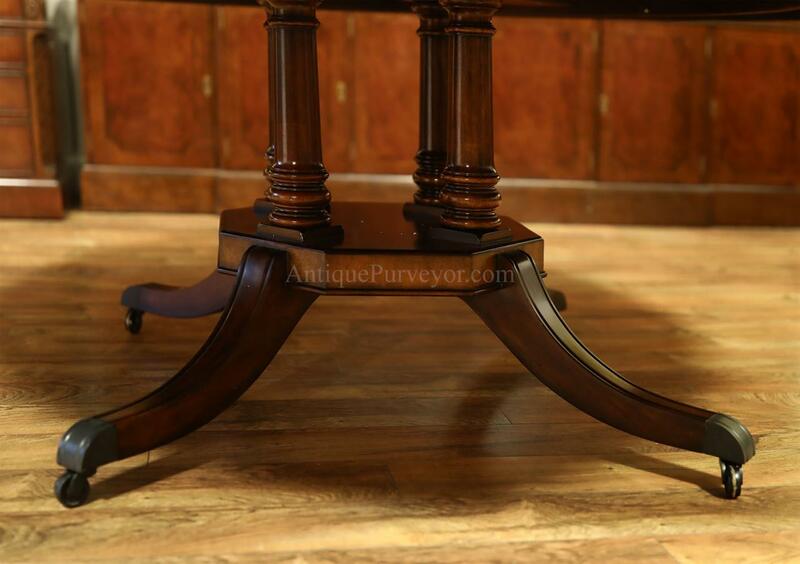 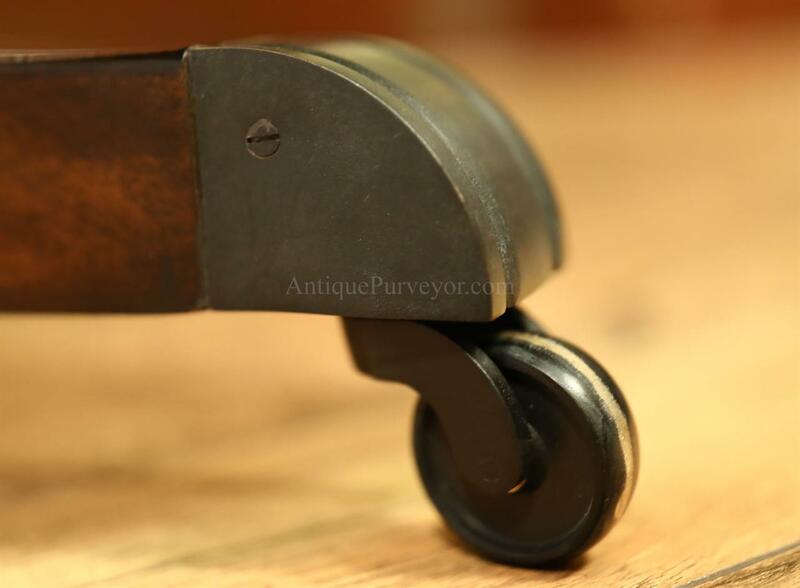 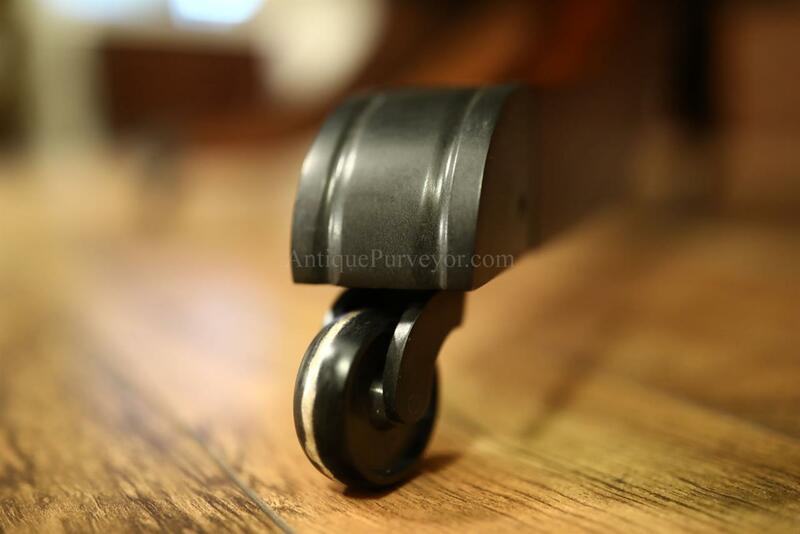 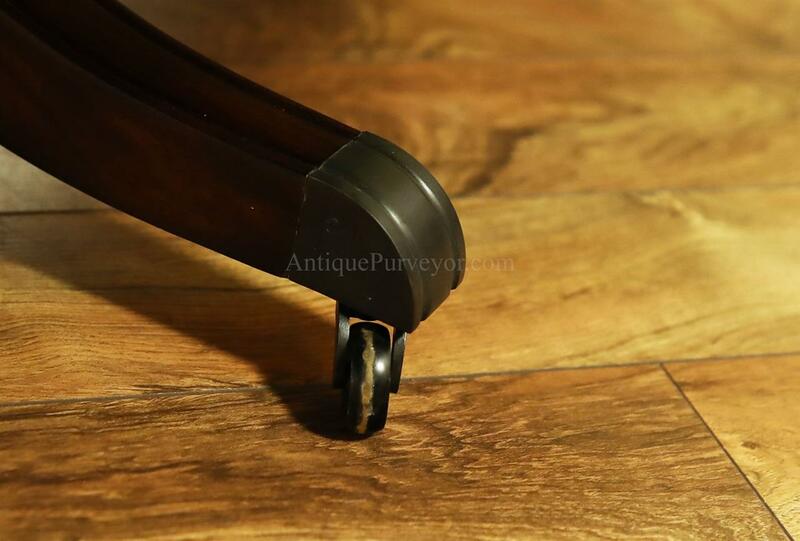 Table sits on a birdcage platform base with downswept legs and handmade brass casters. 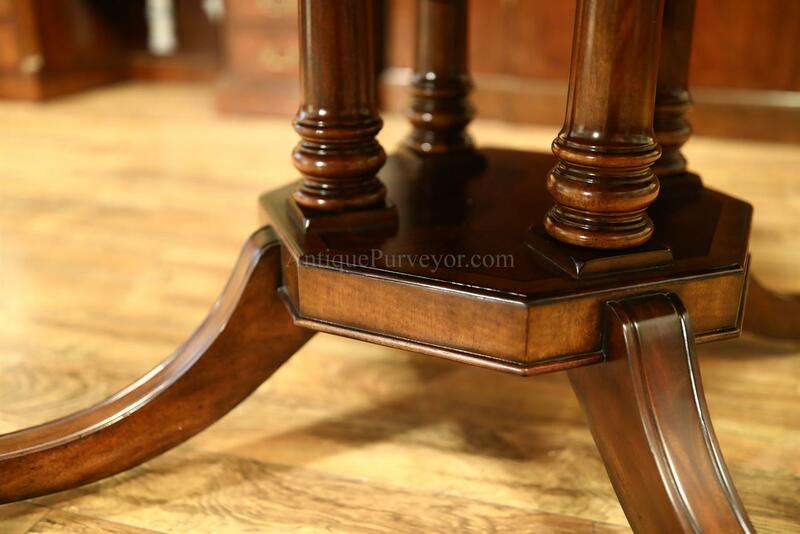 Table slides hide in the table when not in use. 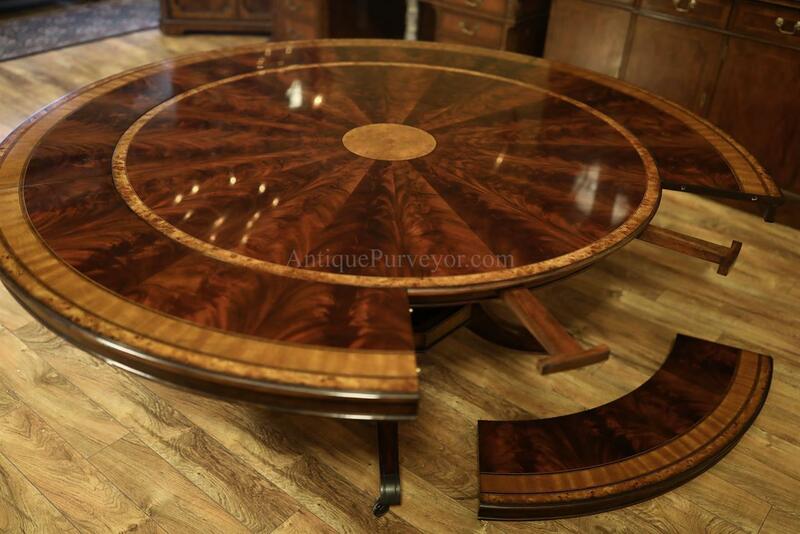 5 crescent leaves open this table to 80 inches round.